You are here: Home › Party! 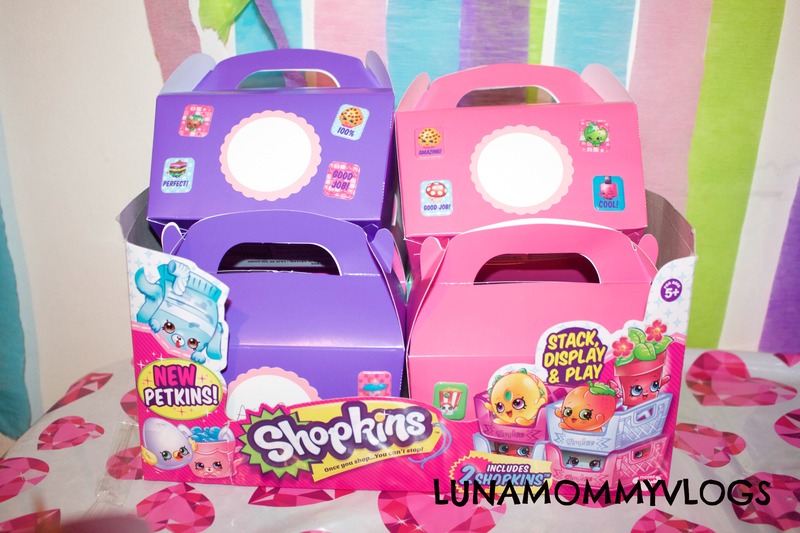 › Shopkin Birthday Party Ideas! 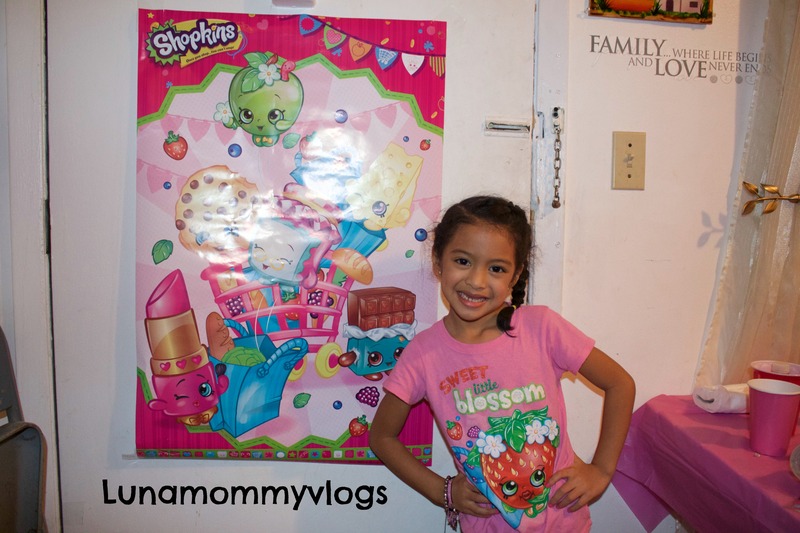 Shopkins have become the newest obsession in our home. It started with the Youtube Shopkin videos and the Target display. Collecting these little toys has become Kayla’s new hobby. 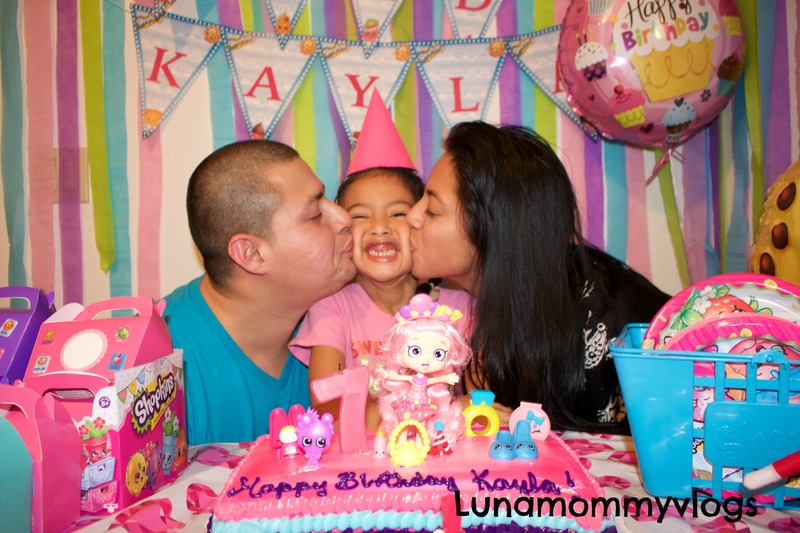 She walked into Wlamart with her Daddy one day and spotted they had the Plates and utensils Shopkin Themed, she ran home to tell me her 7th Birthday Party had to be shopkin themed. I agreed but was a bit worried because their isn’t many Shopkin Birthday items out yet! Here I wanted to share some of the ideas we came up with to make her Birthday Party a special one. These were the kids treat bags we handed out at the end of the party! We purchased the boxes at Party City and the colors were just perfect! 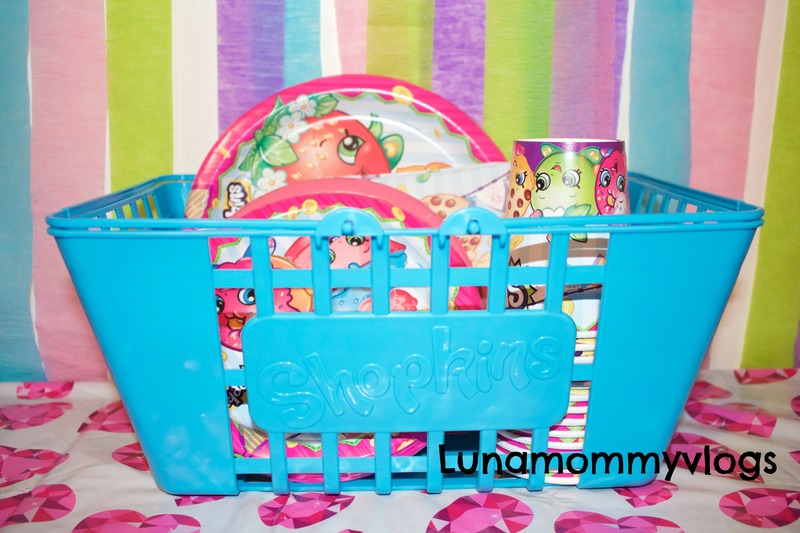 Plus the Shopkins toys do come in a little shopping basket so went great with our theme. The Shopkins box I asked to keep from Target, it was empty so they let me keep it, the boxes fit well in there and also made them display nicely on our table. Found the jumbo basket from Walmart as well as all the plates,cups and Napkins. The Jumbo Basket looked so cute and held everything so perfect. The great thing about it is that now that her party is over she can store her Shopkins in there. The “Kooky Cookie” piñata was purchased that very day as I was running some errands. I spotted it at my local dollar store for about 14.99 and knew Kayla would be extremely happy about it. 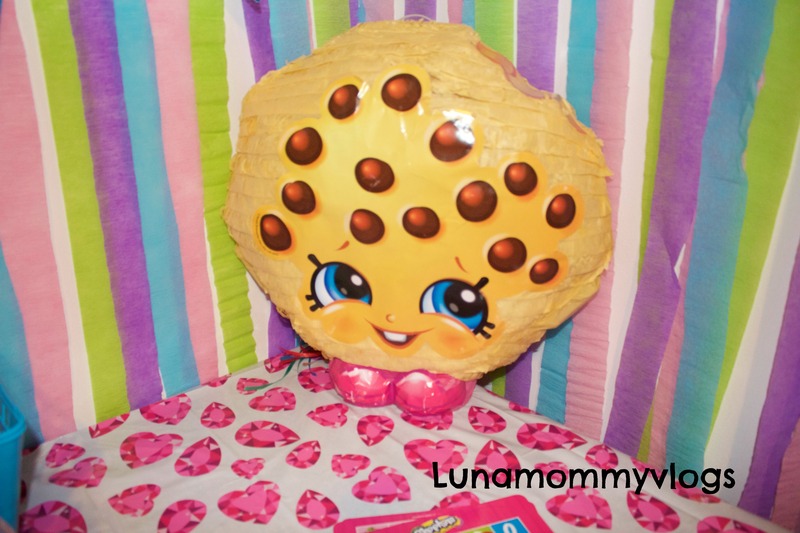 Unfortunately these Shopkin Piñatas are so hard to find, Party City has it on the website but not carrying it online. I would check in stores before I give up. Posters are so fun! I remember always wanting one for my wall when I was a kid. 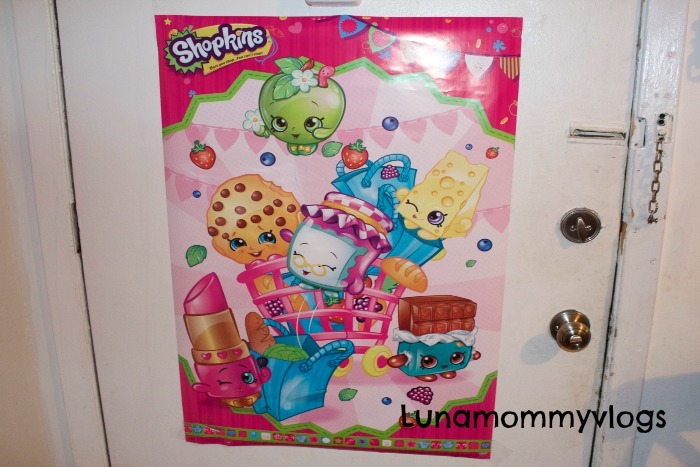 Kayla was gifted this Shopkin Poster from my friend which purchased it at Five Below. 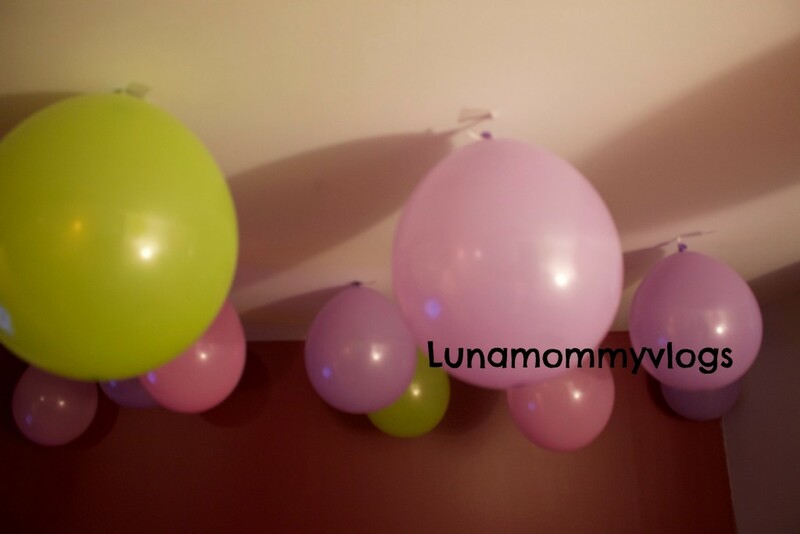 We used it as decoration that day on our door and was so great because the kids could take their pictures there! Shopkin shirts are at Walmart for only 6.95! We purchased this “Strawberry Kiss” shirt for her special Day! The cake was a simple plain cake from Walmart Bakery. Kayla went with me when I ordered it and asked for the colors seen here. 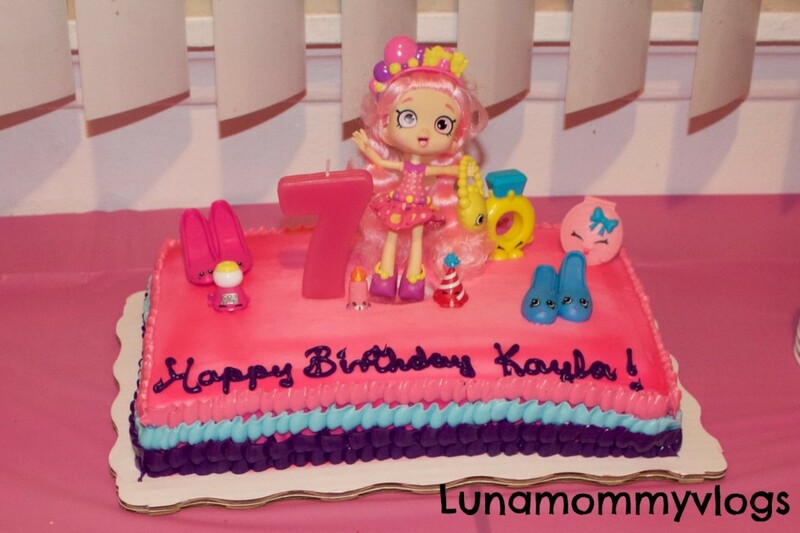 She also said she want to decorate and design it on her own so when the cake came home she placed her Shopkins Shoppie “BubbleLishia” on it and a few other party Shopkins. The bigger Shopkins are from Mc Donalad’s collection. I love the size of these and they look great on the cake. The ballon on the ceiling were my last minute decoration idea. Just thought we could pick out some Shopkin Inspired ballon colors and place them up high. 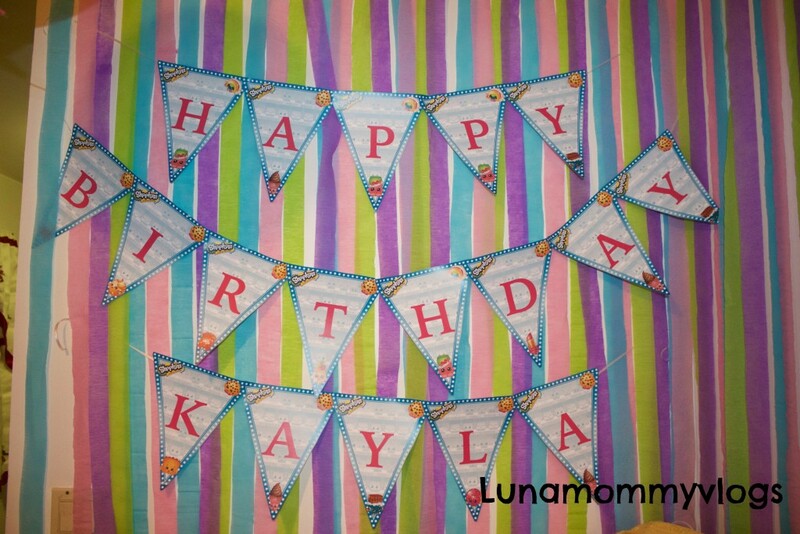 Just a simple way to decorate, but the kids and even the adults loved this little detailed. It truly made my apartment look like a candy wonderland. Kayla had an amazing 7th Birthday Party! This year I told her that we would have a small party with her closest friends and it would be as big as other parties. At the end of the night she told us it was the best birthday she ever had and it brought a huge smile on our faces. It was affordable, intimate and in our apartment, But it was all she ever really wanted. 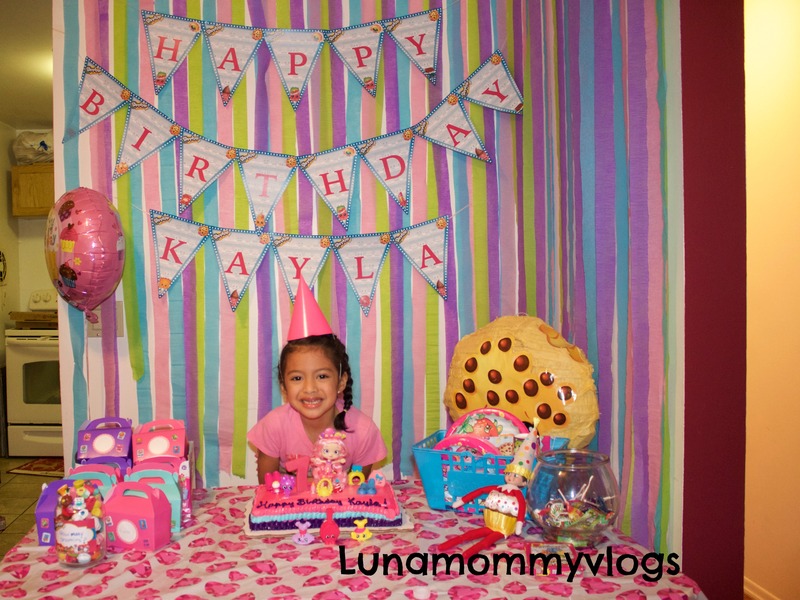 One Response to "Shopkin Birthday Party Ideas!"